Dream is defined as A series of thoughts, images and sensations occurring in a person’s mind during sleep. I dream quite often actually, most of them lasting up to the the first signs of dawn. Last night’s dream was different from most others. It wasn’t one of those regular hazy dreams where I wake up feeling silly and confused and barely remember any details. Last night’s dream had a story to tell, an ending to be interpreted. We are in Hong Kong and it was time to move to another apartment. I was the one who chose the new apartment. The chosen flat was in a sky scraper at one of those dizzying heights with swanky new fittings and amenities provided. But it seems the building foundation was still in the last phase of construction. (Worrying right?) I was happy with the choice but since it was quite far from the boys’ school, I sheepishly told my husband that we shouldn’t shift there, and that is after we had signed the contract! He asked me to pay the flat another visit to be sure of my decision. 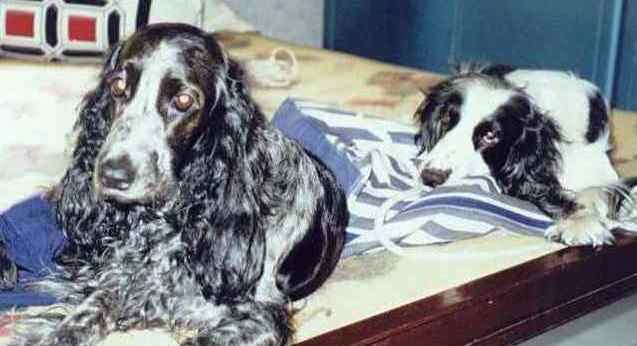 Now, for some strange reason instead of my boys I saw my two pets accompanying me – Romeo and Juliet, black and white very cute looking cocker spaniels. I suddenly woke up in that instant, heart thumping, sweat forming on my forehead, taking in gulps of air and realised that it was all a dream. Both my darling pets Romeo and Juliet are no more in this world with me today and in that state of confusion between the real and the unreal world I could sense their presence, feel their long silky ears, see the twinkle in their black eyes. What were they both trying to tell me? Where were they going? What did falling into the water mean? Romeo was drowning till he was rescued by that lady. Who was she? Was there a message to be decoded? Or was it that they both were simply calling out to me as they were moving on to a new life, a re-birth? Whatever it was my heart found its normal pace and my breathing started to get back to normal, a smile started to form on my lips and I said a short prayer and mouthed a thank you to them both for visiting me once again. After all there is no other way to meet them, is there?